Natto or nattokinase is a super healthy food you would love to include in your daily diet. A Japanese super food, it has nutrients that help you lower your cholesterol levels and keep your heart and bones healthy. Lenoleic acid, fiber, and lecithin in natto helps in the purification of the blood and also improves digestion. Moreover, Vitamin PQQ is also found in large quantities. This is a Vitamin which is not very popular. You may not even have heard of it. This vitamin is gained mainly through diet, and it is essential to maintain a beautiful and healthy skin. Blood purification is also necessary to get healthy skin. Natto is a super food that offers both these qualities. 100 grams of natto contains only 212 calories and 5 grams of dietary fiber. This is the main reason why natto is known to be a wonderful option for breakfast if you are on a weight loss mission. Even though there are 11 grams of fat content in 100 grams of natto, there is nothing to worry about it. One would not gain weight with these, as they are healthy fats that are required by the human body to generate energy. Every 100 grams of natto contains 217 milligrams of calcium. This comes to 22% of the required daily intake. Additionally, it also contains 115 milligrams of magnesium, which is 29% of the recommended daily intake. It is well known that calcium is necessary for making the bones and teeth strong enough. However, it is not common knowledge that magnesium is necessary to absorb calcium. Natto is something that contains both these minerals in large quantities. As such, it makes the ideal food for building your bones and protecting your body from all diseases related to the bone like osteoporosis, gout, and arthritis. 13 milligrams of Vitamin C is contained in every 100 grams of Natto. This comes to 22% of the daily recommended intake. Vitamin C is a well known and powerful antioxidant. It is an essential vitamin which protects your body against any kind of damage caused by free radicals. Free radicals could otherwise cause health problems like cancer and also degenerative diseases like cystic fibrosis and macular degeneration. Additionally, natto is also rich in properties that boost your immune system and defend your body from illnesses. Natto is known to be super healthy as it is made from soybeans which are fermented. If soybeans are processed without being fermented, it could cause health problems like thyroid and hormone dysfunction. It is the fermentation process that helps eliminate all these problems. Fermented soy is also known to contain a high amount of bacterial cultures that are significantly beneficial to health. They are beneficial to the digestive system and also behave as a natural laxative. As such, it makes natto an amazing remedy for constipation. Natto is known to be a rich source of Vitamins K1 and K2. Vitamin K1 is most popularly found in leafy vegetables, and Vitamin K2 is produced by bacteria. Vitamin K is not commonly found in many foods. Natto is one of the rare ones that contain both variants of the vitamin. A 100 gram serving of natto provides 23.1 micrograms of Vitamin K1, which comes to 29% of the daily required intake. It is a vital vitamin that helps regulate blood clotting, prevents bone loss, and also controls calcification of the arteries. Deficiency of Vitamin K could cause problems like osteoporosis and increased bleeding. Natto is consumed by both vegetarians and vegans as it provides important nutrients that could otherwise be obtained only from meat and meat products. Iron and proteins are typical examples of such minerals. Every 100 grams of natto provides 17.7 milligrams of proteins, which includes all the 8 essential amino acids. This is 35% of the daily required intake. Moreover, it also provides 8.6 milligrams of iron, which is 48% of the required daily intake. Iron is needed for efficiently transporting oxygen to the lungs, while proteins help in building the cells and muscles in the body. Renowned doctors all around the world recommend a daily intake of natto. It is excellent for all those who are looking out for longevity and vitality. The health benefits one receives from natto are unparalleled. It has the capability to fight cancer, and breast cancer in particular, as it is rich in isoflavones and flavonoids. 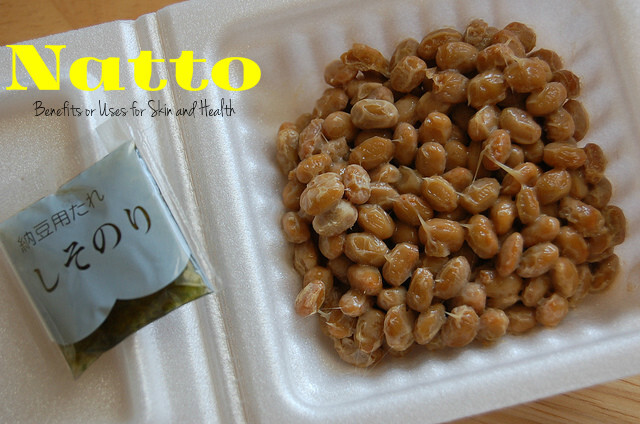 Natto is also known to prevent Alzheimer’s and protects you from heart attacks and heart diseases. This is due to the blood thinning effects and phytoestrogens in natto. Whip the natto in a bowl for about 50 times before you eat it. This makes it foamier and lighter. It is best to eat natto when it is cold. It should not go over 150 degrees Fahrenheit while you heat it. This would cause the enzymes to become less effective. People who have soy sensitivity could also consume natto. This is due to the fact that the proteins that are hard to digest are broken down during the process of fermentation. If you find it hard to adjust to the taste of natto, you could always go for the supplement. Even though some practitioners say that supplements do not provide the same benefit as real natto, many people have reportedly gained significantly results by consuming natto supplements. Natto is definitely worth adding to your diet. It has loads of goodness to help you increase longevity, get a healthier heart and a sharper mind, strengthen your bones, and get beautiful skin. Include it in your daily diet and get all its advantages.